We are taking a short break for a couple of weeks from our series of Connecting the entire Bible to the Good News. And today we are going to talk about missions. And many of you will recognize our scripture today as the great commission. The root of the word “Commission” is “Mission” and so, it would seem appropriate for us as Christians to think of the great commission as a mission. 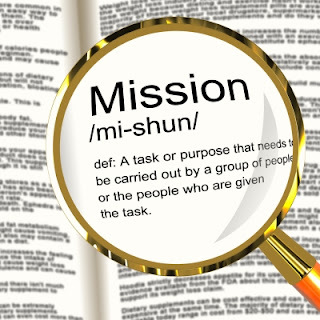 A mission is an important goal or purpose that is accompanied by strong conviction (dictionary.com). As Christians, we should have the objective to spread the good news of Jesus Christ as our important goal and we should have this goal with conviction. It should be our mission. Over 70% of the world lives without religious freedom. They do not even have the most basic right to seek out truth. So, it is up to us to go and share Jesus with them, through whatever opportunities God gives us. And many of these people who have never heard of Jesus, know in their hearts that something isn’t quite right with the world or even in their own lives. Somewhere deep down, they know that they need saving. They may not be able to put it into words, but they know something is wrong. There are others, who know there is “something else” out there, something more than just this broken old world. But many of these have never heard the good news of Jesus Christ, so it is up to us to tell them. What will their response be? Some will ridicule and laugh at our message of the Gospel of Jesus. But some will believe and will join the body of Christ. And then they will be commissioned into this great mission themselves. Here is a question for you. If God is so powerful, why must we be involved, why doesn’t God do it himself? The truth is, He has. So, He has told people about Himself through nature…. So, when Gentiles, who do not by nature have the law, do what the law demands, they are a law to themselves even though they do not have the law. 15 They show that the work of the law is written on their hearts. Their consciences confirm this. Their competing thoughts either accuse or even excuse them 16 on the day when God judges what people have kept secret, according to my gospel through Christ Jesus. Here we see that He has written the moral law on our hearts. And so, He has told people through their hearts. The heavens declare the glory of God, and the expanse proclaims the work of his hands. Even when we look into the sky… the great unknown… Space, the Final frontier… Even the Heavens declare the Glory of God. So, we are not alone in trying to spread the gospel. We are merely witnesses to what we have seen… through creation, in our hearts, and even in the unknown. They all point to Christ. And it is our job, to simply point it out to others. We are all a part of the body of Christ and in the Body of Christ there are many roles: some people are called to support of those in the mission field, some are called to prepare and teach those headed into the mission field, And some are called to be missionaries. We are all called according to the talents God has given each one of us. As Christian, we are 1 body working towards 1 goal and that Goal is the mission God has given us. If we try to work as individuals, we cannot accomplish much, but if we work together as the Body of Christ, Christ can do so much more through us. Each one of us, as a Christian, has the personal responsibility to do our part as a part of the body of Christ to work together with other Christians, using our talents to help accomplish the Mission of Christ, the Great Commission: to spread the Gospel of Jesus Christ to all the world. What is your role as a part of the Body of Christ? How can you be a part of the Great Commission?